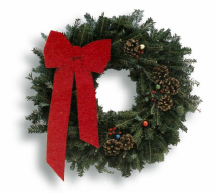 This holiday season give your friends, relatives, employees, customers and clients a beautiful hand-crafted fresh Canadian balsam fir wreath. 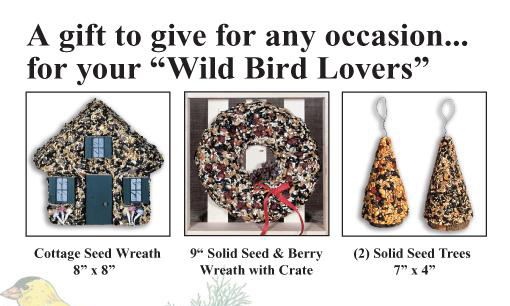 For nature lovers looking for a unique gift for their backyard birds. In Good Taste Baking products come to us from Togo, Saskatchewan. They provide quality products with home baked flavor and goodness. Ask any club member to check out the variety of squares, cookies, perogies, cabbage rolls and other home baked treats. Your guests will never know that you didn’t bake them yourself. A great way to prepare for Christmas holidays. For more information on the products go to their website at http://www.ingoodtastefoods.ca or ask to see an order form. 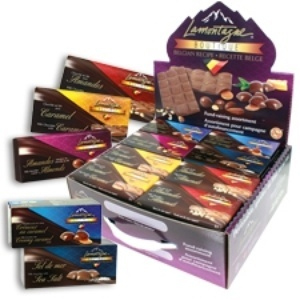 The skating club will be selling Lamontagne Chocolate bars in March and April, 2016. The cost is $3.00 per Bunny or Bar. Members will be selling door to door or you can visit the rink Tuesdays or Fridays from4:00 – 9:00p.m. mid March to April to purchase them.